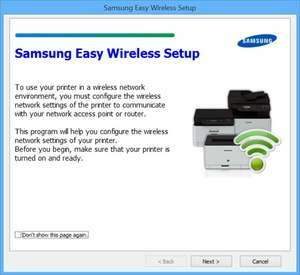 Samsung Easy Wireless Setup works for wireless connection establishment between your personal PC and printer. You can set the configurations of the link easily with the help of this tool. This is probably the best choice for Samsung device owners. For security reasons, you should also check out the Samsung Easy Wireless Setup download at LO4D.com which includes virus and malware tests. Additional screenshots of this application download may be available, too. Samsung Easy Wireless Setup download been highly rated by our users.